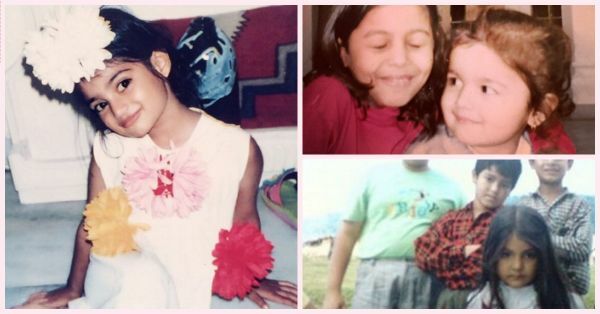 The CUTEST Pictures Of Our Fav Celebs When They Were Kids! We watch all the new Bollywood movies and can't help but be amazed by how amazing our favorite actresses look! But ever wondered what they looked like as babies?! Well, here's the answer - the most adorable baby pictures of our favorite celebrities! Anushka claims she was always a poser with this picture and we totally believe her! And just look at that expression - no wonder she's one of the best actresses in the industry right now! Sonam is no less than a queen when it comes to fashion, but when she was younger (and maybe still!) she was definitely daddy's little princess! Sonakshi was born to be in the spotlight - and if you didn't believe that already, this baby picture of hers should convince you of it! Athiya was just born camera-ready, wasn't she?! We wish all our baby pictures were THIS adorable! Her picture is just making us want to pull her cheeks! Jacqueline with her whole fambam! She sure was a fashionista, even back in the day, wasn't she?! And her dazzling smile is still exactly the same! MUST-READ: So Here’s What Our FAV Celeb Kids Are Up To! MUST-READ: 5 Times Sonam & Rhea Made Us Miss Our Sisters!